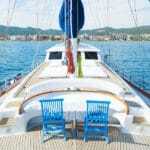 ﻿What is the price range for a gulet cruise vacation in Turkey? For your next holidays in Turkey, why not consider a gulet cruise vacation? Although they are private yacht charter holidays, they do not necessarily have to be high priced in order for you to enjoy a holiday at sea. Blue cruise gulet holidays are offered in a wide assortment of price ranges. They can suit just about any holiday budget. However what determines the price range is really your budget. There are gulets that start at 700€ per day and go as high as 15,000€ per day or higher. Most gulet charter agents will want to find out your price range, how many will be in your group and where you would like to travel from and on your yacht holidays. 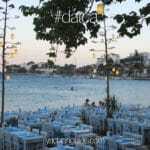 Putting these initial details together will help in shortlisting luxury gulet charters for you to evaluate. Of course you are welcome to provide more details as to your criteria – which would be quite helpful to the agent. At this stage, when you have filtered through the list and narrowed down your choices, either a final choice and offer can be made or, based on your shortened list, the agent will resend another offer of gulets that best match your requirements. 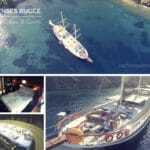 For instance, if you are a group of 8 persons, you have a budget for the gulet rental of around 10,000€ for the week, you will receive a shortlist of gulets that best match this criteria. Then once you have a look and decide that there is one gulet that will be acceptable to your standards, your agent will find out its current availability since the time you were first offered this gulet and then reply to you. If all is well then it’s time to book and place an option on the gulet until your funds arrive for your first payment. 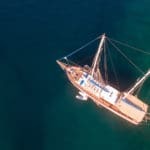 However, if you are requiring a few more offers based on the gulet you selected from the first list, then another shortlist of a few more gulets is offered to you. In summation, there really is no actual price range as the range itself is quite broad. The price ranges can only be determined by how much you have allocated for your holidays. Have a great season!